CASE STUDY. This multiple RIBA Award winning spectacular home by Loyn & Co Architects, is located on a sloping hill with spectacular views to the Wye Valley. With glass fronted living spaces and light wells on the uphill side of the house, the architect wanted shading that didn't interfear with the overall design. Therefore, blind housings were custom finished to match the glazing structure in floor-to-ceiling windows and skylights. For the windows, fully automated roller blinds were specified to ensure protection from glare and solar heat gain, while allowing daytime visibility. This was accomplished using high performance Blenheim 5% screen material. 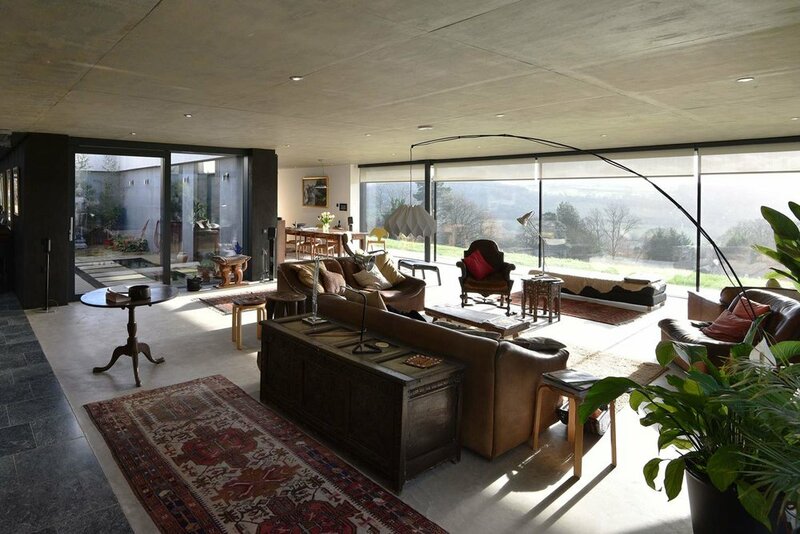 Throughout the house the artist-owners’ art and furniture give this concrete house a very luxurious feel. 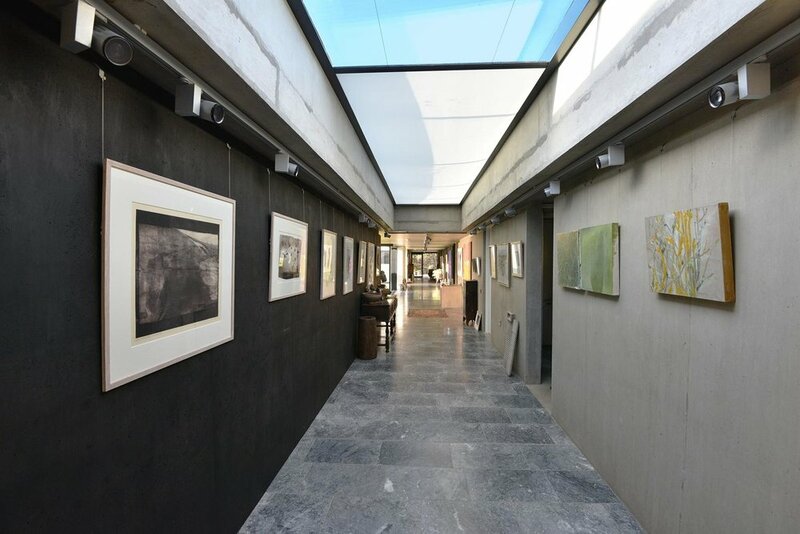 Below, a single 13m long motorised skylight blind provides both light control and protects artwork from UV fading. At the rear of the house, purpose-designed studios use large lightwells with electric blinds to control the light and keep the environment comfortable. To provide privacy, bottom-up cord-tensioned Honeycell Duette® blinds were installed in bathrooms with all hardware matching doors and windows.